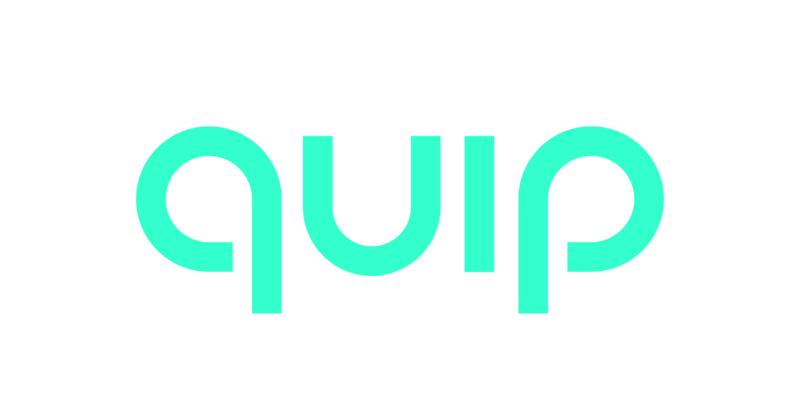 What is quip made from? quip and all accompanying items and materials are free from latex, BPA, and phthalates. The aluminum handles are bead blasted by machine and anodized to endure a lifetime of cleaning. The plastic handles are made from durable, matte-finished ABS plastic. The toothbrush head is PP plastic, and the bristles are made from soft DuPont tynex round-tipped nylon. The mirror mount / travel cover is made from matte-finished ABS plastic. Can I use my own rechargeable batteries with quip? Is quip safe for use with braces, veneers, or false teeth? What are the dimensions of a quip brush?